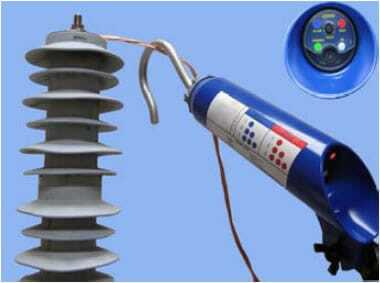 The PADD allows on-line arresters default detection on power lines up to 69 kV (or up to 45kV phase-to-neutral). The PADD has been designed to detect arresters' internal / external partial discharge or sparking that are the cause of power line TV and radio interference. We developed a contact method using ultra wide band radio frequency detection technology. It is used on energized lines. It is not possible to locate the specific defective arrester, causing RFI, using directional radio finding equipment. With the PADD, change only the defective arrester. The PADD identifies the defective arrester, in a standard 3-phase overhead installation, that cause TV and radio interference. It avoids replacing non-defective arresters in the top of the pole identified by a RFI locator. Using the PADD on a day to day maintenance work to test the arresters when work are performed on any apparatus close by arresters will help you to prevent customers complains and costly investigation to identify the source of TV and radio interference. The PADD is easy to use and provides with a go/no go indication giving line personnel the ability to make immediate decisions in the field. In operation, the PADD is placed in contact with the energized cable near by the arrester to be tested. When you turn on the PADD the on/off light is slow blinking. 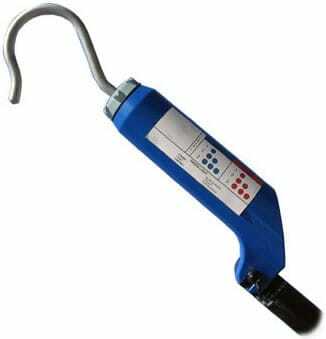 Then, manage to touch the energized cable as close as possible of the arrester to be tested using the hook termination. The on/off light is steady when the line voltage is detected. The Red Zone Light when ON indicates partial discharge or sparking internally or on the surface of the arrester. There is also an audible alarm when a default is detected. It is easily operated by one person.